It’s hard enough to force yourself to cook dinner, and a messy kitchen makes it even worse. 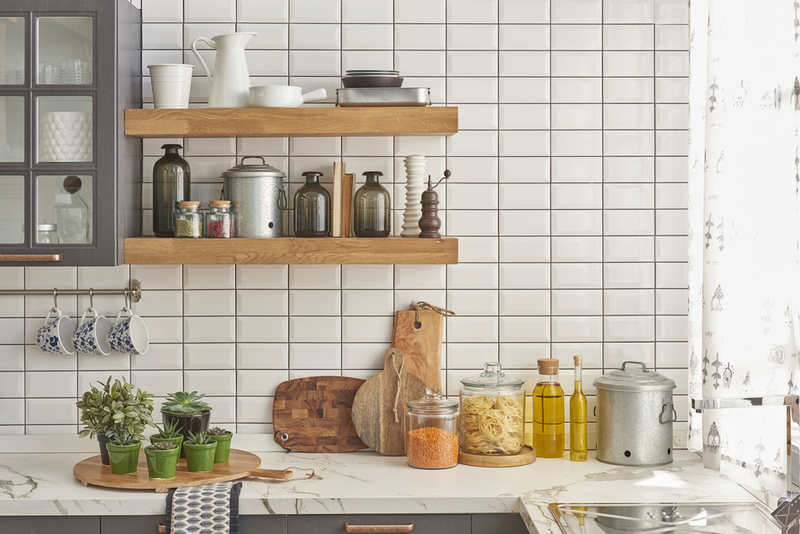 With these five helpful tips, you can re-organize your kitchen to save time and space. If you have more wall space than cabinet space, try hanging your pots and pans on a DIY pegboard. Apartment Therapy conveniently provides a list of necessary supplies and a step-by-step tutorial. So, the next time you’re cooking dinner, you can quickly grab a pan off of the wall instead of digging through cluttered cabinets. These very inexpensive under-shelf baskets can keep you from cramming everything onto one shelf. They are the perfect size for coffee mugs or small plates. So instead of worrying about adding shelves to accommodate your overflowing, order these nifty organization tools online. Some of the smaller Birmingham apartments might have less counter space, but don’t let this stop you from whipping up some delicious dishes. To add a special prepping area in your kitchen, try resting a cutting board on your sink. You may already have a cutting board long enough, but if not, you can check out these boards made specifically to fit over your kitchen sink. Does the thought of shuffling through stacks of baking sheets, cutting boards and platters discourage you from cooking? You need to invest in an Organized Living Divider. Seeing your baking products sorted neatly will lower your stress levels as you strive to create the perfect cookie recipe. And the next time you need that fancy platter for a dinner party, you’ll know exactly where to find it. You know the small amount of space that’s in between your refrigerator and the wall? Surprisingly, it can do more than just collect dust. It’s the perfect spot for this convenient slim can and spice rack that rolls. This nifty rack helps you utilize every nook and cranny of your kitchen, so you can save precious cabinet space for the big things.